How old is eParticipation? 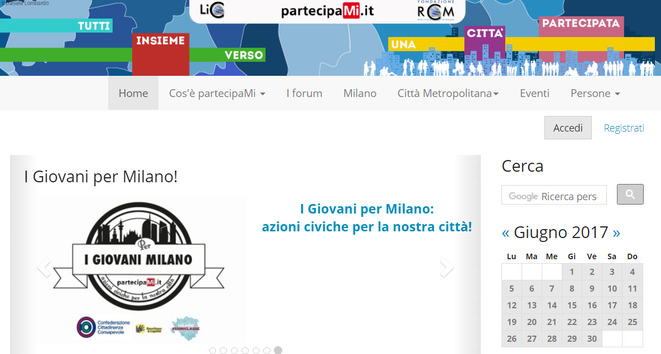 In Milan, it has already been a decade since the online platform PartecipaMI, a wordplay between “participate” and “Milan”, was launched. Created as an online space where citizens can have their say and interact with the local administration about issues concerning the city, today it counts more than 8,500 registered users, and promotes an increasing number of projects. The platform is not something new in itself. Back in 2006 a prior, experimental website was developed during the local administrative elections, to promote the interaction between the candidates running for the position of mayor and the citizens themselves. The success of the initiative led the Rete Civica di Milano Foundation (RCM) to continue the good practice, transforming the platform into a space for continued dialogue and positive development of the city in 2007. On the forum, topics of discussion range from urban decay and renewable initiatives to the environment, health and Smart City policies. There is also a dedicated section to promote civic actions from local youth, where young students can point out problems that they experience in the surroundings of their school through a collective account. Moreover, through the launch of two projects - “Milano Fuoriclasse” and the most recent “Time Out”, a network of local organizations, reunited under the flag “Confederazione Cittadinanza Consapevole” promotes active citizenship among the youngest generations, offering civic training in and outside of regular school times. “There is no other experiment like this in all of the country” says Oliverio Gentile, moderator of PartecipaMI and long-time eParticipation aficionado. “Some have built local networks in other cities, like Bologna, or started small participatory projects, like in the towns of Desenzano del Garda and San Donato. But no other project has been this big and structured”. Who takes part in the platform? Users are aged on average 40-50, with around 55% of male users and 45% female, but there are some youth projects as well. Out of the whole count, about 250 participate on a regular basis. This strong core supports the existence of the platform through donations, as there is no dedicated public funding, and contributes to half of its sustainment. The remainder of the budget is covered by the contract with Amsa, the local company for street cleaning and waste disposal, who has a dedicated, and very active, section on the website. The presence of a number of highly engaged citizens sustaining the platform, also in economic terms, makes it easy for everyone to be motivated in contributing in a civilized and polite manner. The etiquette of the platform requires users to “respect all possible interlocutors and avoid using obscene, offensive, racist or discriminatory language [...]”, to contribute “only under the theme proposed in every discussion [...], avoiding personal attacks” and to “respect the daily limit of contributions added - 3 comments per discussion and 2 discussions launched per forum”, in order to generate constructive talk. People appear to respect the rules without many problems, and “there have been no remarkable episodes of incivility”, says the moderator. The moment people decide to contribute to the platform, they usually want to make it a positive activity. Also, whenever a comment is judged as ill-fitting, Mr. Gentile contacts the user individually via email to encourage rephrasing before publication. “Moderation is not meant to be a tool for censorship, but rather a service for the creation of an orderly and punctual discussion, contrary to what happens on social media” he points out. On the platform, in fact, people are requested to subscribe using their name and email, in order to “put their face out there” and be accountable for the ways they participate. On the Facebook page of PartecipaMI, instead, the discussion is willingly left free - “to show to the users how different it is to engage on a moderated platform from posting comments in a wild discussion on social media, where everybody is allowed to say anything”. Moreover, the platform ensures an “informed discussion” thanks to the relevant information and documents being shared along with the specific thread. Facebook, therefore, remains a platform for visibility, while its main function is to redirect people on the forum’s page. 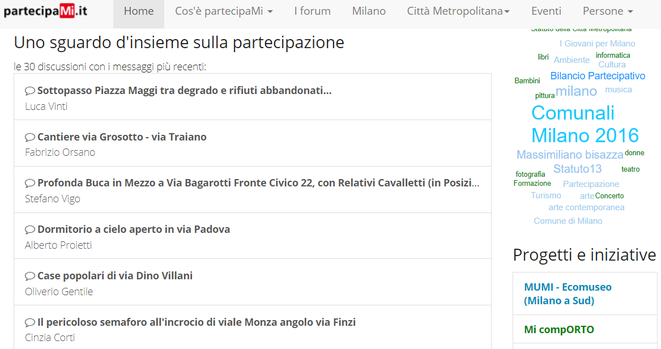 On the section “I giovani per Milano” (Youth for Milan, ndr), young people are actively encouraged to take part into the forums, but also they are stimulated, through dedicated projects, to engage in something tangible for their city. The activities of Milano Fuoriclasse range from removing graffiti on public buildings to park maintenance and voluntary activities with the elderly. The project was first launched three years ago in middle schools and elementary schools in the Milan area to promote civic education programs within the regular school schedule, and recently it has started including elementary school classes, involving about 20 institutes. “Third and fourth grade pupils are the best age to transmit this type of message” says Luca Vinti, founder and president of the Confederazione Cittadinanza Consapevole, meaning that one is never too young to contribute to the wellbeing of their city. Vinti is also the central figure of the Time Out project, which was launched in February 2017, building up on the previous experience, to further foster similar active citizenship activities outside of school hours. The project has involved two schools until now, and the official kick-off of the activities is going to be in September. “We presented it to some of the municipalities in Milan, and they have been enthusiastic about it”, Vinti adds. “Although it’s easy to be supportive of such an initiative on paper, the resources devoted to these types of projects by the administration are very scarce. We are aware of it and we do not have big demands, but what is needed is concrete and continuous support from adults in the first place. This is the reason why, for us, it is fundamental to meet beforehand with the teachers and the parents, to convince them of their role in shaping these kids’ consciences” he points out. In short, participation is not something that can be delegated, but an all-encompassing function for every member of the society. Oliverio Gentile, whose surname literally means “kind” in Italian, is another of these virtuous citizens, and the invisible operator running the participatory machine every day. 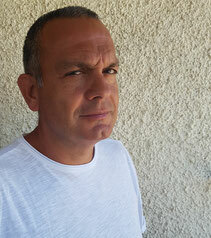 After leaving his hometown, Catanzaro, in the “deep south” of Italy, he graduated in the ‘80s in Computer Science at the University of Milan, and in 1994 he helped co-found Rete Civica, becoming its director and community manager in 1999. Today, he spends most of the time managing the community of PartecipaMI - “Even for 12 hours when necessary, although in those cases I am not particularly lucky” he jokes. Gentile is well known and appreciated in the community, even though only a few have met him in person. He even became a topic of discussion on the forum, as “the man who is always behind the laptop”, with the thread ironically questioning his nature, whether human or cybernetic. “Is he a sophisticated programme or a moderator in person?” somebody writes. “He’s definitely a hologram” says another playfully. “He is no robot, just a good shepherd taking the PartecipaMini (the affectionate name used for the users of the platform, ndr) back on the right track when they get lost”. Of course, nobody fails to also address how “kind” he is. The bonds that are created online might be loose, but not necessarily fleeting. This was the case for Silvia Intra, former public relations representative for Amsa and main interlocutor on the platform on behalf of the company, who passed away six months ago. A countless number of posts commemorate her in the dedicated thread, remembering her engagement and professionalism in the daily activities of PartecipaMI. “She immediately realised the valence of the project and dedicated herself to it completely” points out Gentile. “When she left, it was like losing a sister”, he says, his voice cracking. 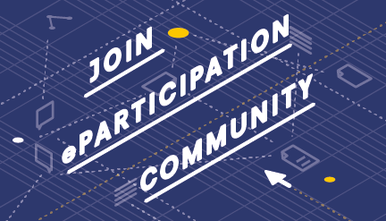 eParticipation, therefore, is a personal matter for all those taking part in it, be it the citizens or public representatives. “One of the limits is that there is no guarantee of response”, Gentile states, referring to the instances when citizens directly address members of the city council. Even when seeing a specific post shared on their own social media page, it is up to them to decide whether they want to reply or not. “I think that the responsiveness of the members of the local administration is an important point” says Massimo Mulinacci, one of the most active users of the platform and a member since 2013. “Unfortunately, they often intend participation only as a public survey for decisions [that] have already been taken, or as a means to showcase their work. In the past, the powerful would repress and shut your mouth up; now, they simply cover their ears” he says, quoting a play based on Camus’ work. According to Mulinacci, PartecipaMI “has lost in a short time every kind of institutional support or acknowledgement”, not because it is not a useful tool, he explains, but because the administration does not recognize its value. Yet, he has donated several times to the platform which raises about €10,000 every year, thanks to its supporters who are convinced of its uniqueness and advantages. 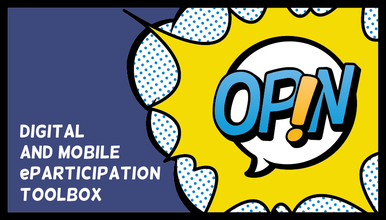 “Participation is often difficult to understand. Many posts are merely warnings of holes in the roads or other problems” Mulinacci points out. “It’s a difficult space, where everyone is called to think and care about our society”. In his view, dialogue between citizens is the way to move from a top-down kind of society to a shared one, where those who are in charge of the public interest collect and exchange ideas with the citizens for the common good. The technical tools to reach this goal are available (among the future plans of PartecipaMI there is the creation of a mobile app, to make the opportunity to contribute increasingly “handy” for everyone), but cultural change is needed in order to develop a truly participatory environment. Clearly, this will not happen overnight: change is a slow and delicate process, and new generations will increasingly need to be addressed as its main actors. Soon, in fact, their role will shift from reporting holes in the road to a much more complicated one: finding (and fixing) the faults in our society. A role that requires a lot more than the casting of some concrete here and there.